Before the Black Friday shopping fever takes hold on you, we have some interesting early deals that might interest you. It's true that many retailers have already revealed many of the products that will be part of their massive Black Friday sale, but some of the deals may not be as good as the early ones. 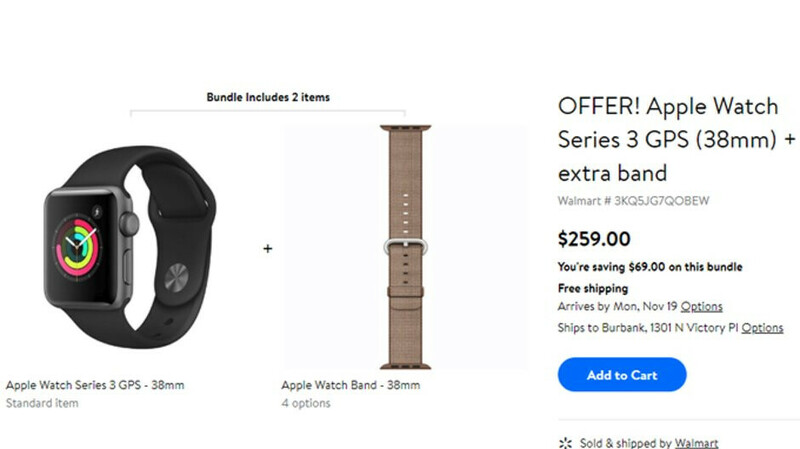 So, if you're in the market for a new Apple Watch Series 3, Walmart has a decent deal on a bundle, which will save you around $70. The US retailer offers the Apple Watch Series 3 GPS (38mm) and an additional extra band for just $260. The smartwatch is available in either Space Gray/Black or Silver/White, but you can choose from four Apple Watch bands: Woven Nylon, Sport Red, Sport Blue, and Sport White. You can opt for free shipping or you can choose to pick it up from the nearest Walmart location. It's unclear how long the deal will be live, so you better hurry if you can't wait for the Black Friday sale but want to save a decent amount of money when you buy an Apple Watch Series 3.